C&B Equipment is proud to offer dosing pumps from Grundfos, a global leader in advanced pump solutions. With their quality construction and innovative electronics, Grundfos dosing pumps are recognized for their value and reliability. Choose from smart digital, mechanical and complete dosing systems to suit your application. C&B Equipment is a trusted distributor of Grundfos digital dosing pumps, the solution to increasingly complex dosing. Our partnership with the global leader in advanced pump solutions allows us to provide intelligent dosing pumps that simplify the chemical dosage process. The accurate dosing of chemicals is a crucial step in any business’ production process. From wastewater treatment and water purification to industrial processing in the chemical, pharmaceutical, and food and beverage industries, proper chemical dosing enables businesses to reach process targets, ensure safety, and lowers operational costs. Grundfos dosing pumps+ have high technology drive and adjustment features that ensure safe and dependable dosing operations. 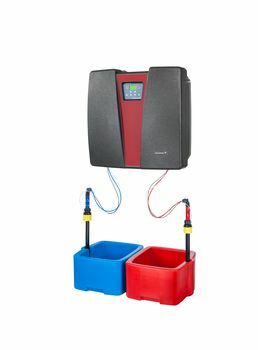 The impressive intelligence of SMART Digital variable speed dosing pumps takes metering pump technology to an entirely new level. Grundfos Digital Dosing™ DME pumps combine perfect precision with user-friendliness, covering large dosing quantities ranging from 375l/h - 940l/h. DMH metering pumps are extremely strong and robust, ideal for applications requiring reliable dosing and high-pressure capability. This highly versatile series offers a wide flow range and a choice of several dosing head sizes, materials, and accessories. Configurable Dosing Tank Stations (DTS) offer economic efficiency when adding liquids as coagulants, disinfectants or neutralizing agents in a precise and controlled way to a process. Chlorine dioxide production systems Oxiperm Pro OCD-162 and Oxiperm 164 are the perfect solutions for fighting Legionella and other germs in drinking water. C&B Equipment exclusively offers proven solutions to clients, which is why we took the time to search long and hard for a partner manufacturer who could help us deliver a high-quality to our clients. Our efforts led us to Grundfos, a global company that develops solutions for the world’s water challenges. Through 83 companies, the leader in pumping solutions is directly accessible in 56 countries. We proudly carry its products. Grundfos’ products help the industry of mechanical and industrial engineering “move water where it is supposed to go.” The company achieved this goal by developing innovative mechanisms that simplify demanding applications, such as their digital dosing pumps. The SMART Digital DDA, DDC, and DDE are Grundfos’ new, engineering standard-setting patented solutions. 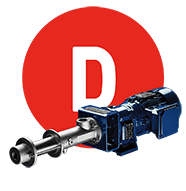 The digital dosing pumps come with a powerful variable-speed stepper motor that improves the accuracy of chemical dosing. Advanced process reliability: A microprocessor control and intelligent drive ensure precise dosing and low pulsation, even if the pump is degassing liquids or dosing high-viscosity. The pumps use a maintenance-free FlowControl system to detect malfunctions due to air bubbles. The integrated flow measurement eliminates the need for additional monitoring. 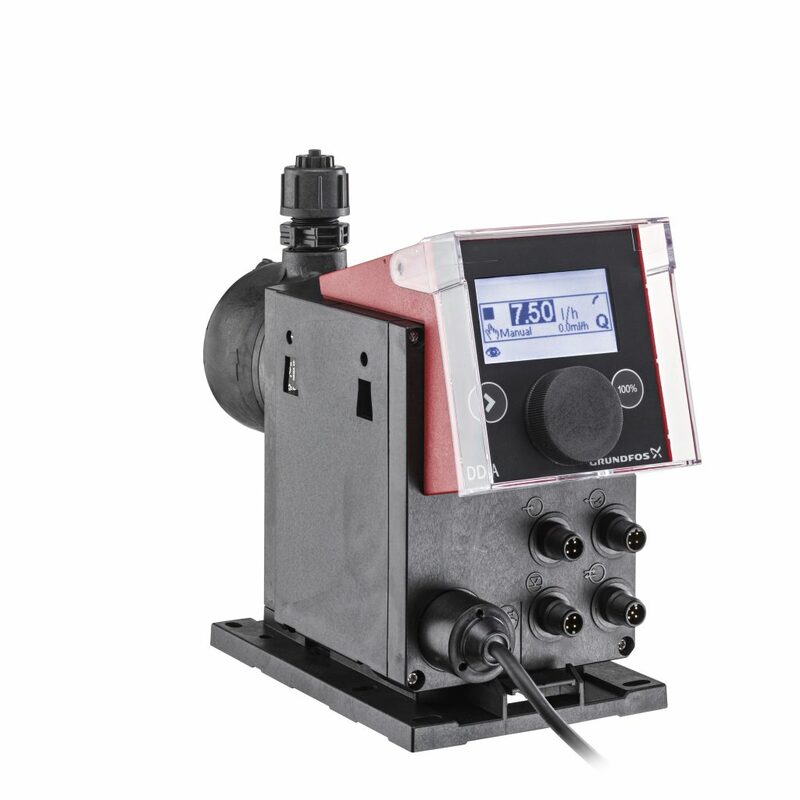 Unique flexibility with only a few variants: Grundfos’ digital dosing pumps include a click-stop mounting plate, which promotes more flexibility. The pump can move in three different positions without the use of additional accessories (e.g., wall brackets). Precise and easy setting: Operators can easily install the pump and set the exact quantity of dosing liquid required. The pump’s display shows the flow in l/h, ml/h, or gph. Most companies will sell you products out of their catalogs and maybe offer repair. C&B Equipment does both and more. We increase the mean time between failures with engineered packages built to specification, along with affordable CAD design, repair support, and maintenance, and repair support. That’s how we do Uptime Solutioneering. Find engineering solutions that address your specific issues and applications. 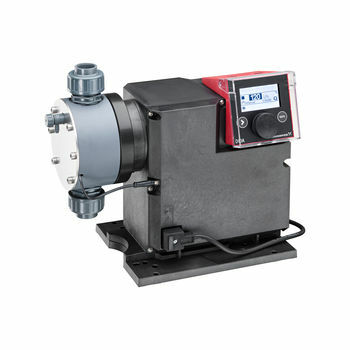 Get a FREE quote on our Grundfos dosing pumps today.